Winter 2016-17: Works on TV show "Riviera"
Justin Alan Gage was born in Southern California on January 11, 1984, but he celebrated the next eighteen birthdays in France, where his family moved to shortly after his birth. Justin always heard the sound of another drummer; and walked to that music. As a young child he found a passion for creating, whether it be creating clothes for his GI Joe’s, Native American crafts, drawing or music. For fifteen years Justin lived in Boulogne sur Mer with his family, being the “little American” for the French, and when returning to the States for visits he was “the Frenchie.” Dual citizenship does not always bring dual culture. He is both American and French on paper, but culturally neither and both. Justin lives within each culture both as a native and a foreigner, which expands his vision to see life differently – hence enhancing his artist’s eye. Great diversity is part of Justin’s inner being as he not only is French and American, but also warrior and artist. Having served in the US Army, trained in Special Services – the strength and violence of the soldier cohabiting with the sensitivity and vulnerability of the artist. 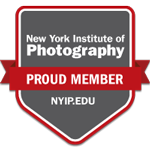 Though a self taught Renaissance man, using every tool available to him to learn, he also received formal education at the New York Institute of Photography. In his photography art one can see all of his soul –the dual warring American French world view, the obsessional warrior on a mission, the gentle nurturing father, the sensitive audacious designer, lover of beauty in all of its forms, hater of injustice. Justin partners in many of his projects with his talented make up artist wife Alana. His work has been published internationally, and he sits on the jury of several prestigious art awards. Though the military did not end up being his career he does attribute allot of his success to the goal and result driven mentality he was indoctrinated with during his brief time in the armed forces. Justin Gage photo studio provides a variety of services.